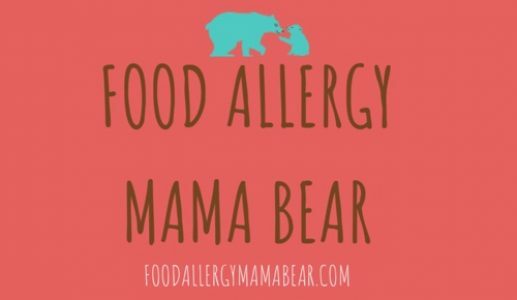 I have been hearing this question so often, in fact, that I have decided to put together a list of my favorite allergy friendly snacks. All of the foods on this list are free of the Top 8 most common food allergens**, meaning their ingredients do not include nuts, dairy, eggs, wheat, shellfish, fish, or soy. Many are free from additional allergens such as sesame, sunflower, mustard, lupin and/or corn. All are gluten free, and most are vegan/vegetarian, as well. While the items I am about to list may not work for everyone, I hope that many of you reading this will find this list to be helpful. Please note also, that the products I am listing are ingredient wise free from the Top 8 Allergens, but as I have not contacted each and every manufacturer, I cannot guarantee that every item is made in a dedicated “free from facility.” If I do know that a particular item is made in a dedicated facility I will do my best to include that information as well. Further, I would like to take a brief moment to remind you all that labels can and do change on occasion, so just because an item is free from a particular allergen at the time of the writing of this post, that does not mean that it will always remain so. Similarly, products that are at one time made in dedicated facilities, may not always be. As always, I encourage each of you to do your own research before consuming a new product. Please also keep in mind that it is not mandatory for manufacturers to disclose whether or not products are made in shared facilities and/or on shared lines with common food allergens. If you are concerned about the potential for cross contact during the manufacture process, please contact the manufacturer directly before consuming any new product. I like these for a lot of reasons. One–they taste awesome. 2–they are made in a facility that is not only free from the Top 8 Allergens, but is also free from sesame, and gluten. 3–These pack a punch when it comes to nutritional content. With ingredients like spinach, broccoli, carrots, tomatoes, beets, and Shiitake mushrooms, these granola bites are high in Vitamins A, C, D, E, and B6. They are also chock full of dietary fiber (from whole grains), and thiamin. As if that weren’t enough, these are made from certified gluten free oats, which are believed to lower LDL (“bad cholesterol”). I promise you, you would never know there are veggies hiding in these. The Made Good Granola minis are available in a variety of flavors, including Strawberry , Chocolate Chip, chocolate banana, and Apple Cinnamon. The Granola minis are available in single serve packs, as well as multi-portion bags, which is also super convenient. If traditional granola bars are more your style, Made Good also makes granola bars. Like the granola minis, they are Top 8 free, gluten free (made from certified GF oats), vegan, organic, and sesame free. They are made in the same dedicated facility free from the Top 8 Allergens (plus gluten and sesame), and like the minis, are full of veggies and vitamins. The granola bars come individually wrapped, and are available in Chocolate chip, Mixed Berry, Apple Cinnamon, and Chocolate Banana flavors. A list of allergy friendly snacks wouldn’t be complete without mentioning at least one Enjoy Life product. In case you aren’t familiar with the Enjoy Life Company, they are a brand that specifically caters to the food allergy community. They offer a wide variety of foods, free from the Top 8 Allergens, as well as sesame, gluten, lupin, sulfites, and mustard. All of their products are also vegan, organic, and non-GMO. Many are also paleo. Enjoy Life products do not contain and hydrogenated oils or trans fats, and are generally healthier than their mainstream counterparts. All Enjoy Life products are made on dedicated lines, and the vast majority are made in dedicated free from facilities. Enjoy Life cookies come in a variety of flavors, and include both crunchy soft baked versions. Their cookie options include Chocolate Chip, Double Chocolate, Snickerdoodle, Gingerbread Spice, Sugar Crisp, and Vanilla Honey Grahams. My personal favorites are the snickerdoodle and double chocolate mini cookies, which come in single serve portions. It can be hard to find a brand of popcorn that meets our family’s dietary needs, so when I discovered Skinny Pop last year, I was beyond excited! It has since become a staple in our house, especially for movie nights, and birthday parties. Skinny Pop has a number of varieties that are Top 8 Free including Plain, Non-dairy White Cheddar, Sea Salt & Black Pepper, Chocolate, and Naturally Sweet. We enjoy them all, but the Non-dairy White Cheddar is definitely our favorite. Be warned, though, that Skinny Pop does have a few varieties that contain dairy, so be sure not to grab one of those by mistake, if you or a loved one avoids dairy! At the time of this post, the dairy containing flavors include the Aged White Cheddar, Real Butter, and Pepperjack varieties. If you prefer to pop your own popcorn, Skinny Pop also makes microwaveable poppable bags. These are available in Non-Dairy Butter , and Sea Salt Varieties. All varieties of Skinny Pop are certified gluten-free, certified Kosher, and non-GMO. They are also free of trans-fats, preservatives, and artificial flavors, and dyes. Many are also vegan. These puffs made from whole grain popcorn are the perfect combination of sweet and salty. Like the Skinny Pop popcorn above, these are also gluten free, vegan, and Kosher. They are also surprisingly high in fiber! Be sure not to confuse these with the Skinny Pop White Cheddar Puffs, which do contain dairy. Manufactured in the UK, these Puffs are free of all of the UK’s 14 declarable allergens (gluten, crustaceans, eggs, fish, milk, peanuts, soybeans, tree nuts, celery, mustard, sesame, lupin, sulfur dioxide/sulfites, and mollusks). They are also vegan/vegetarian. If you aren’t a fan of kale, Eat Real also makes a Quinoa only version of the White Cheddar Puffs. These delicious Rice Krispie style treats are made without any of the Top 8 Allergens, and are certified gluten free. According to their website, they are also corn free, which further sets them apart from conventional Rice Krispie treats that are usually riddled with corn syrup (Smashmallow uses Tapioca Syrup instead). Smashmallow also makes a line of gourmet marshmallows(available in a variety of flavors), that are also made from ingredients free from the aforementioned allergens. Like the cookies above, Enjoy Life Chewy Bars are free from a number of allergens beyond the Top 8, and are also gluten-free. These hearty bars make a delicious, filling snack. They are available in Sunseed Crunch, Caramel Apple , Cocoa Loco , Caramel Blondie, Carrot Cake , and Lemon Blueberry Poppy Seed flavors. If you prefer something a little heartier, the Enjoy Life Grain & Seed Bars are also quite tasty, and come in an array of splendid flavors such as Chocolate Marshmallow, Maple Sweet Potato, Cranberry Orange, and Banana Caramel. These seed and fruit blends are the only items I have ever seen of their kind, so I believe they are really worth mentioning here. This trail mix style blend is great for when you need a quick burst of protein and fiber, and unlike other trail mixes, it is completely nut free! Our family loves to hike, and have found these to be the perfect snack for on the trail. These are available in two flavors, Beach Bash and Mountain Mambo. These delicious bars are made from ancient grains, are certified gluten free, Kosher, and non-GMO. They are cholesterol free, dye free, free from artificial flavors, and do not contain any high fructose corn syrup. There is a line of dig bars from the same company that does contain wheat, so make sure you get the gluten-free Fig Bars, specifically. These come in an assortment of flavors, including Raspberry, Pomegranate, Blueberry, and fig . I have tried a lot of gluten free pretzels brands since going gluten free (seriously, a lot), and these are by far my favorite. In my experience, GF pretzels can often be painfully hard, but that is not at all the case with these. They have just the right amount of crunch, and taste amazing as well. What really sets them apart from the pack, though, is the fact that they are available in an array of flavors and styles. If you like your pretzels pretty simple, you can go with the classic pretzel Sticks or pretzel twists, but if you are craving something a bit more adventurous, there are Honey Mustard & Onion, and Buffalo flavored pretzels available as well. Heads up though, the buffalo pretzels are HOT! This list wouldn’t be complete without these cookies. Simply put, these are some of the best packaged cookies I have ever had, allergy friendly or otherwise. The snickerdoodles are my personal favorite, and are about as close in taste to homemade snickerdoodles you can get without making them yourself. Cybele’s cookies are Top 8 Free, Gluten-free, and made in a dedicated allergy friendly, gluten free facility. They are plant based, vegan, and GMO-free. They are currently available in the four flavors pictured above (Chocolate Chip , snickerdoodle, Chocolate Chunk Brownie, and Oatmeal Raisin). There you have it–12 awesome Top 8 Allergen Free snacks! Have you guys tried any of these yet? If so did you like them? If not, which ones sound yummy to you? Gosh I wish we had that flavoured popcorn over here in the UK. I wonder if you can purchase it in the UK through Amazon? Or maybe via the manufacturer? I live in a very rural area of the US, so our family relies heavily on online shopping for a lot of our favorite allergy friendly foods. Yes Amazon is always worth checking. Thank you.